Chris Ivory officially released. Must be too young for us (haha). But seriously, I take it as we take a RB at some point in the draft. Maybe a David Montgomery if he’s there round 3? I'm convinced we will even as early as pick 40. This was coming, as soon as they announced the signing of Gore. They both are similar style rbs who will be running up the gut. Gore has shown more production then ivory has over the last several years being consistent with a ypc avg of any where between 3.9 and 4.6. Gore will fill the role they wanted for ivory as a grinder up the middle and short yardage. Gore although older has been more reliable the last few years. Ivory consistently gets injured and its time they have a sure fire. Not to mention the bills save cap space by adding gore and cutting ivory which is beneficial. I could see them going in to the season as is with the RB situation having shady, gore, murphy, and Ford. Possibly drafting one day 3 like Bryce Love but all in all the RB corps stays as is. 2020 draft or FA is where they go younger and start the RB process all over again since all 4 RBs will be FA at that time. This draft is kind of weak for a workhorse back that would be longterm. Bills have other needs they can answer that could be a bigger impact for them this year and in the future. After that release of Ivory and looking at other potential cuts, I could see both Bodine and Ducasse being let go to clear another $4 mil after the draft. This will place bills at $38 million in cap space, even if the bills spend all of those picks on guys they are projected to be between $29-30 mil in cap space. This is enough to go for a big trade to pick up a stud player on either side of the ball if they are able to find someone who would suit this team and still have about $10 mil in cap space to go in to the year with. Julio (likely getting an extension as they are in talks with him), AJ Green (bengals said to want to extend him), Clowney (apparently bills have shown interest but do not see the texans giving up on him), Frank Clark (rumor bills spoke to seattle about him), Demarcus Lawrence (seeking 22 mil a year and Dallas refuses to go over 20 mil for him, likely to sit out), and Gerald Mccoy (Arians mentioned in a presser that his spot on the team is still up in the air). I would've been good with this trade for us. yea the only thing is he has 1 year lest on his deal so the possible of being a 5th rd pick may be based on them resigning him before the draft next year. Hes a 2 down back though as he struggles to catch the ball and had a down year compared to his first 2. I think this was a sneaky good pick up for the eagles who do not have any one really at rb and no longer have to go high in the draft on one. I also think it is a sign that the crop of RBs in the draft arent that great and will likely be over drafted for some. Im still all for a day 3 pick at the position but nothing earlier as none of them look to be worth it. Bills were rewarded RB Chris Wade from the International Pathway Program. He won't count against the 90 man roster and is only PS eligible this season should he make the team. No body can claim him from the Bills. i like the move as it can set him up long term. Not expecting him to be a work horse but a 3rd string rb and special teams player is well worth hanging on to. One of the more explosive players to play Rugby Union in the UK. The NFL suits him in that the main deficiency of his Rugby Union play was his defence, which he obviously won't have to worry about any more. I worry about his ability to hold up to the physical punishment of the game, given that he's not used to getting hit as often in a game (his position doesn't require it that much in Union). Not meaning to troll, but I think Rugby League players such as Valentine Holmes (just signed with the Jets) are much more used to this, given the amount of touches/tackles they have in a game compared to Rugby Union. Still, I can't wait to see how Wadey gets on. The company I work for used to sponsor Wasps (his team), and I was lucky enough to meet him a couple of times. He's a really nice bloke, so I will be rooting for him. How come the bills haven't looked at making a move for Gerald McCoy, he is a 3 technique DT that the bills need to replace since Kyle Williams is gone, he is a 6 time pro bowler and the asking price will not be high as Tampa has yet to find a suitor and he is sitting out of camp to prevent injury. I think he is a good fit for McDermott and the bills have the cap space to come in and offer him a new deal without breaking the bank? My guess would be a mid round swap to get the cap off their books as they are over the cap right now with draft picks to sign. I mean they probably have/are. Bucs and other teams are likely waiting to see how the draft unfolds. Bills Signed Eli Harold from the Lions. Looks like he's a pass rush specialist. Not sure why people are saying that he's going to be a back up DE. He seems like a better fit at SLB behind Zo. I think this is a solid depth signing. Can never have too many pass rushers. Probably because thats what the Bills listed him as in their press release. Similar to when they signed Maurice Alexander and listed him as a LB as opposed to S which he had played. I get super nerdy with players and their new numbers and then projecting draft picks and what they would wear. Some of the free agent signings have been leaked but come Monday we will know for sure I imagine when we start off -season programming. 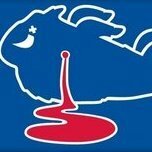 bills brought in tj yeldon for a visit today. Would be a nice addition behind gore and shady also young to be on the squad more then 1 year and help out in the future.